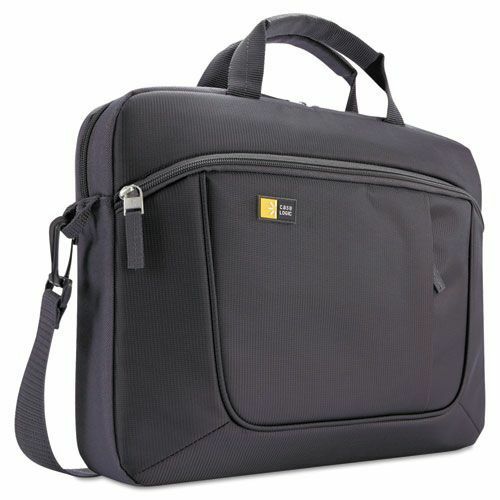 Case Logic Laptop and Tablet Slim Case, 15.6", 16 1/2 x 3 1/5 x 12 4/5, Dark Gray. A modern take on pure practicality, this slim case holds daily must-haves. Room at the bottom for a power adapter and an exterior smartphone pocket round out the reasons this will be your weekday go-to. 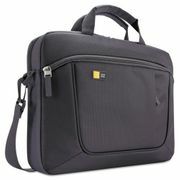 Slim, compact case has separate, protective pockets for both a laptop up to 15.6" and a 10" tablet. Files remain crisp and unbent in their designated pocket, separated from your electronics. Front pocket stores bulky power cords neatly in the bottom and out of the way. Organizer panel in front pocket with dedicated storage for external hard drive, pens and other accessories. Zippered front pocket keeps your smartphone secure yet easily accessible. 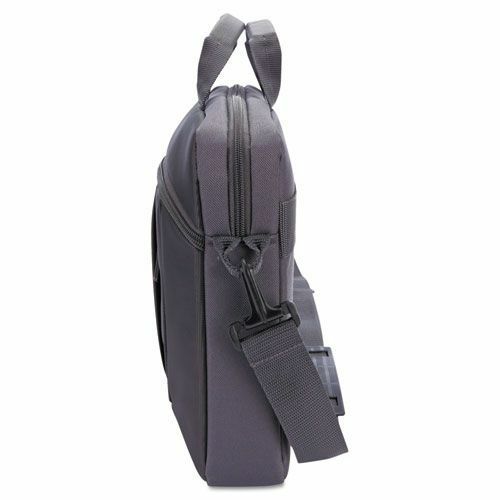 Comfortable, removable shoulder strap and padded handle for easy portability. Luggage strap securely attaches slim case to most rolling luggage.